Daily Horoscope: Mondays can make you really dull but don't worry. We are here with pro astrology tips to beat your Monday blues and find some motivation to get your day going. Read on to find out more! Daily Horoscope April 20, 2019 (Bhavishyavani): Acharya Indu Prakash will tell you how to make the most of your day. Astrology tips for 13th April 2019: On the pious day of Maa Durga Ashtami and Ram Navmi, read on your daily horoscope. April 6 is being celebrated as the first day of Hindu New Year which is also called Ugadi or Gudi Padwa. Here's how your new year will pan out. Acharya Indu Prakash tells you in detail how to make your day more fruitful and pleasant according to your sun sign. Lifestyle updates: Watch the given inspirational Bhavishyavani video to get some useful tips on how to make your TODAY, that is, 1st April 2019 one of the best days of your life.  Latest Astrology News, Watch Daily Horoscopes BHAVISHYAVANI with Acharya Indu Prakash, who tells your horoscope, Today's Horoscope for Monday, April 1, 2019 numerological fortune, alphabetical fortune and gives tips on vaastu shastra. Acharya Indu Prakash's expert tips to make your day better, more fruitful and pleasant. From lucky colour to lucky number, Acharya Indu Prakash tells what all will make your day fruitful today. Daily Horoscope March 23, 2019 (Bhavishyavani): Acharya Indu Prakash will tell you how to make the most of your day. Daily Horoscope March 22, 2019 (Bhavishyavani): Acharya Indu Prakash will tell you how to make the most of your day. Find out! If you want suggestions in order to make the best decisions in your professional, personal and social life, then without further ado, check out what March 4 holds for you. Acharya Indu Prakash gives you insight on how your day is going to pan out today according to your zodiac sign. Daily Horoscope February 12, 2019 (Bhavishyavani): Acharya Indu Prakash will tell you how to make the most of your day with little tricks! Daily Horoscope 11th February 2019: In today's astrology video, Acharya Indu Prakash has shared important tips to make your day lucky. Acharya Indu Prakash gives you insight on how your day is going to pan out today according to your zodiac sign. Watch the new video! 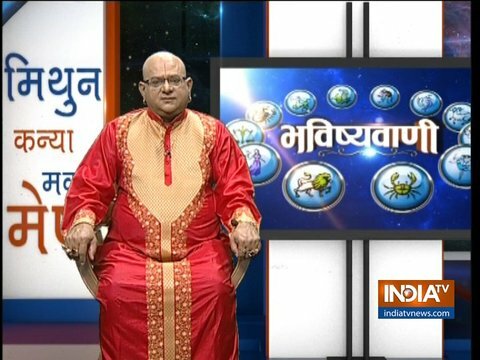 2nd February 2019 Daily Horoscope: In today's Bhavishyavani video, Acharya Indu Prakash has shared important tips to bring peace and happiness in life. Daily Horoscope January 21, 2018 (Bhavishyavani): Acharya Indu Prakash will tell you how to make the most of your day with little tricks! Lunar Eclipse 2019: You'll get here all the latest updates on super blood wolf moon -India timings, dates, and how to watch Chandra Grahan live!